Choose longer subscriptions to save big! Your Insomniac Ultimate subscriptions comes with three great tools. The following features (formerly part of the Edge Bundle) are all included with Insomniac Ultimate. proxies or use one of our pre-programmed provider integrations for easy setup! Show colored status bars on each tab so you know how far you've gotten in the VWR and how much time is left before your cart expires on each tab. There is no better way to manage dozens of tabs at once to get in faster and ensure you don't lose any carts. found. Save, monitor and turn on and off all of the checks you want to monitor. Highly flexible and powerful. and this alone could pay for your annual dues in one hour! just your Google cookies. Various uses to avoid errors that never should have shown in the first place. them for you. No more time wasting typos! out for maximum efficiency. Fast duplication means fewer missed sales on busy days and more submission attempts! It's 9:59:56...:57...:58...Refresh All tabs with one click...and you're in first! What could be better than that? throw static by using different UA strings so it looks like you are using different browsers. There's something to wish to explain to your team? No problem, use the Screen Recorder extension to easily create videos inside your browser. another in the whole browser if for some reason you prefer that to Proxy Per Tab. Insomniac for Firefox (IFF) is a great backup option to simultaneously with Insomniac Browser or as a backup if something is not working well for you in the browser itself. Download the Insomniac for Firefox extension and save it somewhere you can get to (like your Desktop folder or Downloads folder). In Firefox, go to Menu-->Add-ons. Drag the insosmniac_for_firefox.xpi file that you downloaded in step 1 onto the Firefox Add-ons page. Just drop it anywhere and magically it will install itself. There is a setting that needs to be done so please read the setup instructions before trying to use it. Insomniac for Chrome is a good third option for private online browsing.Please open this page in Chrome and download the extension from there. For further setup and usage instructions, please see our documentation. You need one for each simultaneous user. So if you'll have three people buying at the same time, you need three licenses. If it's just you, but you want to use it on three (or 300) different computers at different times throughout the day, you can do that with one license. Insomniac is a substantial investment - and so are the returns you'll see. We want to make sure the browser pays for itself. For a monthly license, it generally takes less than a day of using it to pay for itself. For an annual license plus Edge Membership, it generally takes 1-2 days to earn back the full amount you've paid for the year. We feel this approach allows us to continue to provide an excellent product while also keeping the investment very low risk for our customers. We instituted escalating pricing in 2015, but we are still well within ensuring the browser pays for itself very quickly. What is escalating Pricing? Why is it so important to buy now? Insomniac Browser uses 'Escalating Pricing'. Only a certain number of licenses are sold at each price level, then the price permanently goes up. It goes up without notice and there are several increases each year. It's always best to buy whatever licenses you may need to lock in lower prices for the near future. If prices go up while you're thinking about it, the old price will not be honored. Will my price increase in the future? Your prices for existing licenses will not go up. Once you sign up for a new license above, that's your price for the licenses you purchased. 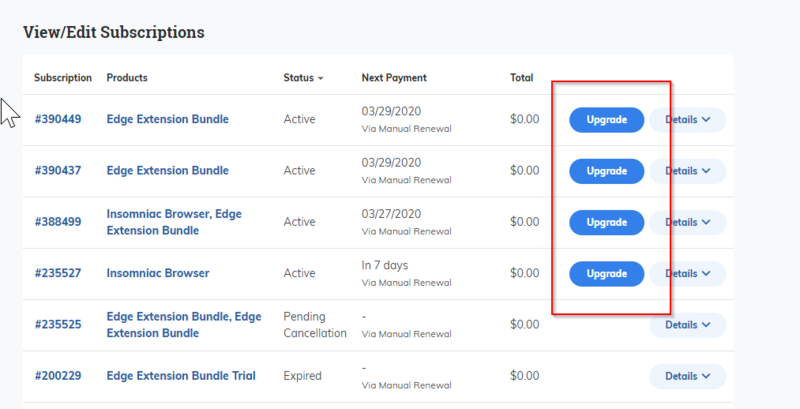 After the subsequent price increase, you'll stay pay the old rate on your existing license, but any new users you add will be at whatever the current rate is when you make that purchase. Is there a Trial? How do I know it works? There are no trials. Our users don't like it so we honor their wishes. Most of our customers come from word of mouth so you could ask around. With 1,000s of customers over nearly a decade and a renewal rate during that time of over 95%, we know we're doing something right. 🙂 So the best advice is to ask close associates. Be wary of asking generally in forums as most of our users don't like publicly validating the effectiveness. They've actually asked us to stop selling new subscriptions. Can I get a discount? I promise not to tell anyone. Pre-Pay Annually to save almost $400/year per license. Buy 5 licenses at a time for 5% off. 10 at a time for 10% off. If you subscribe annually you can then get all of our premium extensions (Normally $1600/user/year) for just $599/user/year. There are no non-standard discounts. Posted prices are not negotiable. Bulk discounts are not available for 'group buys' or you and 'partners' that are separate business entities. We offer bulk discounts for licenses that are purchased at the same time. The discounts are already programmed into the site, so you don't need to email for the price. Just select your quantity above. How does the Edge Discount Work? We sell various premium extensions, but adding more than two can get pricey, so we've bundled them all into one package. If you want them all for a single low price, you can get them through the Edge Bundle. However, you only qualify for this huge discount if you are an annual subscriber. 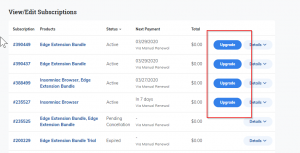 Monthly subscribers can purchase extensions individually, but at full price. Can I Subscribe to Extensions Monthly? No, extensions subscriptions are only available on an annual basis. In most cases, they pay for themselves in a day and the rest of the year's use is 'gravy'. Need Credit on Your Upgrade? Otherwise, if you are looking to do either of the following, just hit the close button at the top right. Add a totally new licenses – like when a new person joins your company. Add a Edge to a user that already has Annual.